Summer time and there are lots of these big Bumble Bees enjoying the nectar of blooming flowers. We made this in June 2012 for the son of good friends. 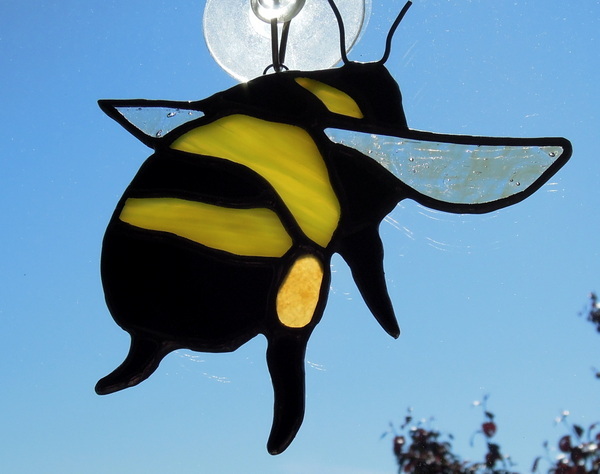 He likes to give his teacher a piece of stained glass and in this case this teacher has a great fondness for Bumble Bees.